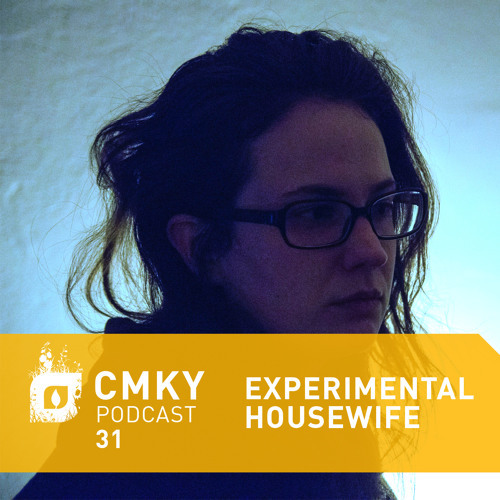 In advance of the 2015 Communikey Festival — which takes place April 16-19 month in Boulder, CO — we tapped Experimental Housewife to record a mix showcasing the more ambient-leaning portion of the festival programming. This year’s edition of the Communikey Festival is set to be our last, as we prepare to retire the format in order to focus on the next stage of their creative evolution. It’s a bittersweet end for a long-running cultural institution that has served to promote social, cultural and ecological innovation through creative process. As such, Experimental Housewife intended for this mix to serve as a lamentation for the festival’s end and an ode to what is yet to come. Bookended by a pair of tracks from the lauded Silent Season artist Segue, the mix traverses a wide range of styles, from Charles Cohen and Neel’s modular abstractions to the flickering drones of Colorado-based artist Radere and beyond. The end result is an evocative mix that is at turns friendly and creepy, calling to mind the very atmosphere of the Front Range region itself as it moves through its shadowy soundscapes. For more information, please visit www.communikey.us. Festival passes and showcase tickets are available for purchase at communikey.strangertickets.com. Tracklist: Segue - Turning Patterns FOANS - Conversion 4 FOANS - Diorama 2 FOANS - Diorama 4 Normal Ones - Eidolon Experimental Housewife - New Private Life Radere - Good Evening, Ghosts (Verison)/Stay Away Lichens - Faeries Neel - Storm In Stickney Experimental Housewife - Pad (Music) Orphx - Circuit IV (Consumption) Charles Cohen - The Middle Distance Clinker - Partial Intervention Segue - Wind Through Trees This mix was originally featured as part of Headphone Commute's ongoing podcast series. @farib: Normal Ones "Eidolon" into Experimental Housewife "Private Life"